Ever since Chris Evans portrayed the iconic star spangled man in 2011, audiences have fallen in love with him as Steve Rogers, also known as Captain America. Not only does he up his muscle in each new Marvel film, but he ups the dramatic depth of the character each time. 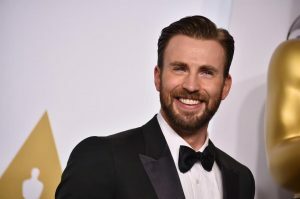 Chris Evans’ performance in Captain America: The Winter Soldier was arguably one of the best of the year, and earned him a Saturn award nomination. After Snowpiercer, in which Chris Evans plays a barbarian turned flawed hero, it is clear that Evans is now one of the most versatile and servable actors in the industry. So, fans were very upset when rumors started spreading that Evans might be leaving the shield behind after next year’s Captain America: Civil War. A ripple went through the internet fandoms that was heard across the galaxy. Like many actors of recent, Evans wants to move on to directing. This interview was from five months ago, right around the release of Avengers: Age of Ultron. Evans has already released his directorial debut, Before We Go. A very small scale romantic drama, Before We Go is very different in tone and content than Evan’s normal $200 million dollar plus budget superhero epics. Well, rest assured, Evans just revealed that he has the full intentions of returning to the character of Steve Rogers if Marvel wants him. Clearly, Evans has realized that Marvel has shaped him into one of the world’s most famous faces, as they did with Robert Downey Jr., Chris Hemsworth, and Tom Hiddleston. Evans’ career has come a long way since the Human Torch in Fantastic Four. Perhaps Evans’ directorial opportunities have not yielded as many results as he thought it would five months ago. Now of course, it’s up to Marvel how many movies Captain America will be in. In the comics, Sam Wilson, also known as the Falcon, takes over the shield after Steve Rogers is killed by Crossbones. Both Crossbones and Falcon were introduced in The Winter Soldier, so this is a legitimate possibility. However, rest assured, for now, the Steve Rogers we know and love will stay Captain America for the foreseeable future.